Wreck This Journal ‘quickie’. | An alien voice under a duvet of dreams. Posted by phoenixaeon in Art, Pirate Penguin, WTJ. Write one word over and over. 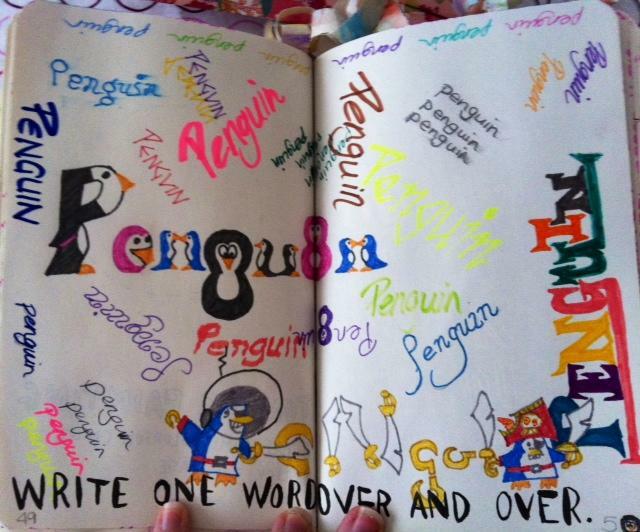 A page dedicated to my penguin-loving Princi.